Many of us have seen photos, some over a century old, of tattooed women. Many of us have been fascinated with these pictures, encouraging curiosities as to what these ladies were doing at the time. 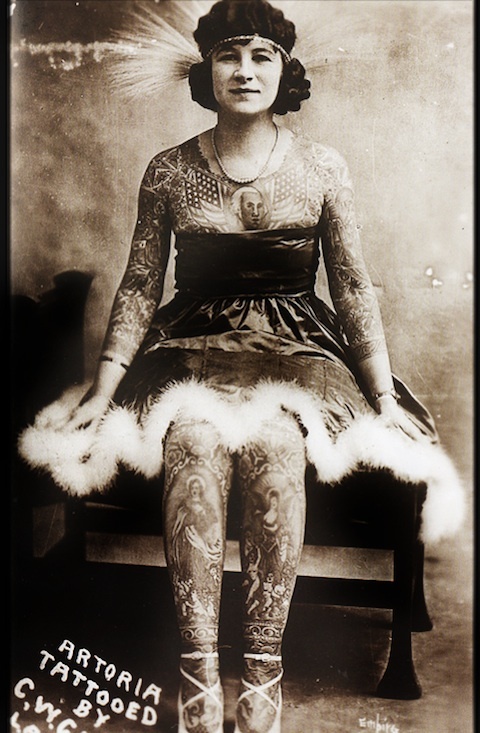 There are many theories about the fact that tattoos covered women’s bodies in the 19th century as a sign of emancipation, which was a big issue of the time. As Margot Miffin writes in her book Bodies of Subversion, women in tattoos saw the early points of feminism in the release of the corset yoke that kept their appearance uniform and appealing to the male gaze. It turns out, however, that – although of course, it had some connection – the genesis of this phenomenon started somewhere else. The 19th and early 20th century was a time when women if they did not belong to the upper classes or did not marry well, struggled to ensure their quality of life. The woman’s place was thought to be at home, and the right to education belonging primarily to men, it was not easy to find employment for those who needed it. In those times, especially in the United States, cinema was spreading as a means of entertainment. Without television, Internet, etc. Next to the cinema and theatre, the most popular entertainment, cheap and available to everyone was the circus. Exotic trained animals, clowns, acrobats, bearded ladies; a whole galaxy of “freaks” and in among them, tattooed women. All of these intriguing delights aroused fascination and amazement in the large audiences. When nature did not give the woman an extraordinary talent or an interesting defect in the form of a beard or third leg, it was always possible to create the interest and intrigue yourself. Tattoos proved to be the perfect solution! Irene Woodward, a.k.a La Belle Irene, born in 1862, is considered the first completely tattooed woman to appear in the circus. “First, my father painted a few stars on the child’s skin. Then from his hand came the whole picture. Despite the pain, the six-year-old was delighted, urging him to continue. She knew that without tattoos, with bright, beautiful skin, she would certainly be kidnapped by the Indians. I was this girl” – the beginning of Irene’s story and her tattoos, made up, of course. The authors of her tattoos, the number believed to be around 400, were the famous Samuel O’Reilly and his student Charlie Wagner, who tattooed her almost continuously for three months. Irene was 19 at the time. During numerous scantily dressed performances, she showed off a significant portion of them and people, with undisguised fascination, would pay to cast their eyes on them. Under the guise of shame and modesty, she made herself quite a career. She travelled in the United States and Europe, even performing before monarchs. She was a star. But was it just her that came across this enlightened way of fashioning a career? Not at all. Nora Hildebrandt, born in 1860(1860?) in Melbourne, Australia, decided to create an even more elaborate story explaining the tattoos that decorate her whole body. As the cause of her “stigma”, she also blamed the Indians. 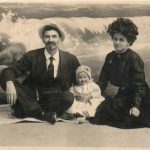 After her mother’s death, Nora was to leave Australia and go to the United States, where her father lived – – a sailor and tattoo artist who had abandoned his family years ago. As Nora told, while they crossed the lands of America, they were allegedly kidnapped by a Sioux tribe. They travelled with them for some time when the girl’s father was accused of trying to poison one of the Indian warriors. The tribal chieftain, the Seated Bull, would show them mercy, saying that he would release them if Nora’s father would perform tattoos all over her body. For a year, tied to a tree, she would endure pain for six hours a day, which resulted in 365 tattoos. The infamous chieftain, despite the completion of the task, decided to kill the father of the unfortunate, “disfigured” girl and Captain George Crook himself had to save her from the clutches of the savages. This amazing story has only one drawback – it is just as unreal as the previous one. Nora competed with Irene, performing everywhere and letting herself be seen and touched. Her tattoos and, of course, her naked body, did not inspire contempt or malice, but compassion caused by stories of traumatic experiences. Both women were featured in the press, and their shows in circuses and museums attracted huge crowds of curious and demanding onlookers. For over 40 years, Betty Broadbent was part of the circus business. Born in 1909, Betty Broadbent began her career at the age of 18, just after Charlie Wagner and Joe Van Hart covered practically her entire body with tattoos. Some women decorated their bodies with tattoos to develop a specific career. However, there were also those that started independently from the world of tattoos. The ink appearing on their skin only with time, usually due to their husbands – the tattooists. There were also those who took this profession from their life partners, leaving their mark on the pages of the history of the craft. 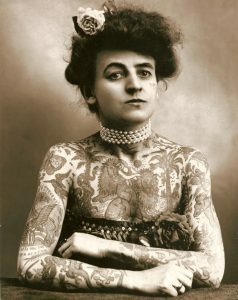 It’s likely that anyone with a keen interest in tattoos has come across an image of Maud Stevens at least once. However, not everyone knows who this woman really was. She was a special character, born in 1877 in Kansas. 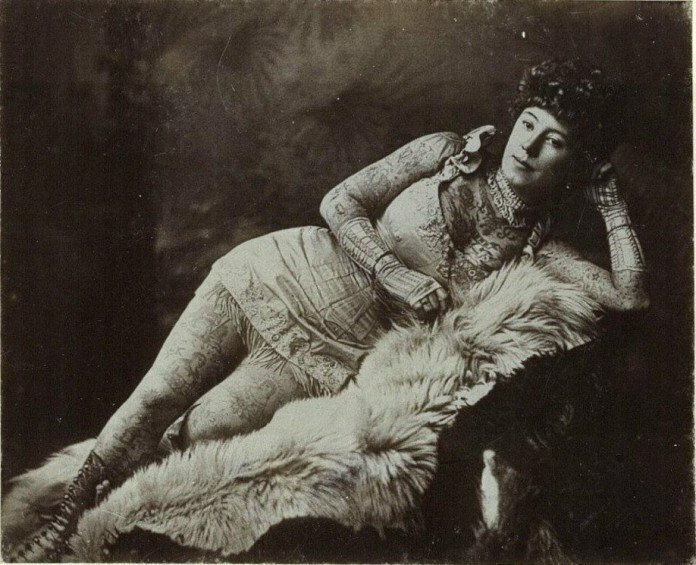 In 1904, working as a circus acrobat, she would meet her future husband – Gus Wagner, a tattoo artist who learned the craft from Alfred South (apparently the creator of the Bengal tiger Queen Victoria had tattooed). Wagner decorated Maud’s body with tattoos, spending the time teaching her the profession too. 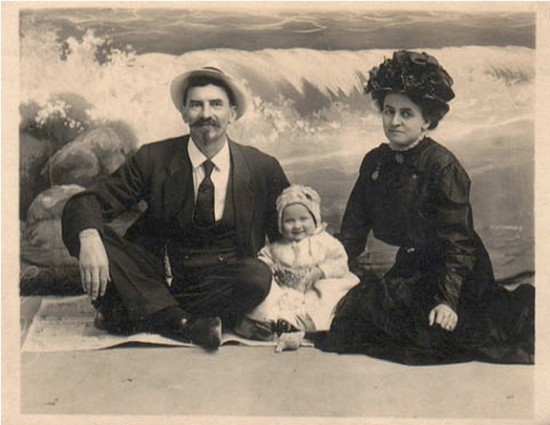 In 1907 their daughter was born. Lotteva, at the age of nine, would go on to tattoo her own father’s body. She never received any tattoos herself. 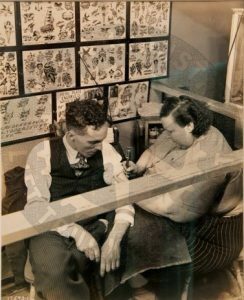 Although it was the era of the electric machines, Maud remained faithful to the traditional, hand-poke tattooing method. 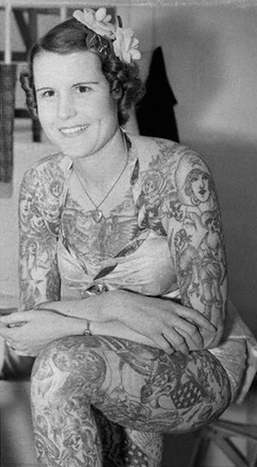 She was hailed as the first tattooing woman in the United States. After winding down their circus career, together with her husband they travelled around the country continuing to tattoo. Lotteva took over the family tradition, however, like her mother avoided technology, she also preferred traditional techniques. 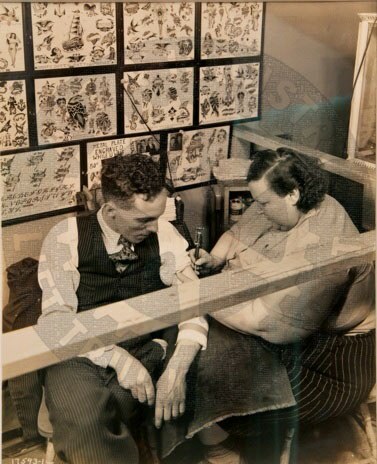 She made her last tattoo just before her death, in 1993, at the age of 86 – the tattoo was a rose on Ed Hardy! 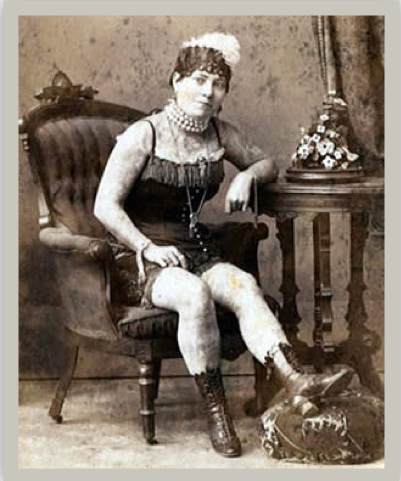 Dainty Dotty, renowned for her tattooed body, appeared in circuses for years under the pseudonym “Fat Lady”. In 1923, she met Owen Jensen in Los Angeles. He would give her her first tattoo. The couple fell in love and got married, with Dainty quickly becoming fascinated by the art of tattooing. Although her weight was not record-breaking, and she was not the first woman to tattoo, she always joked that she was probably the biggest female tattoo artist. Artoria Gibbons, an American circus star, also wore reproductions of works by artists such as Rafael and Michelangelo on her skin – all by her husband, Red Gibbons. 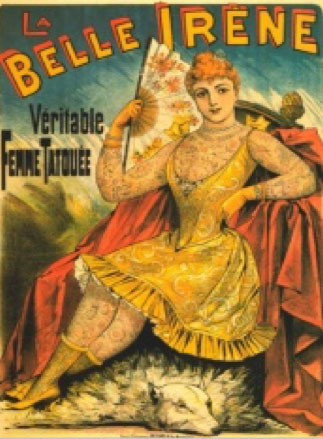 The number of women connected with circus arts, who are also ink lovers, could be multiplied. Considering how in the present day tattoos are able to shock and arouse controversy, it is hard to believe that it has been very popular for a hundred years ago, also among women. In times when it was not okay to reveal the smallest hint of ankle, let alone any cleavage, they exposed their bodies in all their glory. Did it upset the public? Of course! However, there was an even greater interest in their “dissimilarity”. With time, circuses fell out of fashion, being replaced by other forms of entertainment. This fall did not affect the art of tattooing. Quite the contrary, actually. More and more women began to decide on tattoos, more and more decided to reach for the tattoo machine. Since then, the continued flourishing of this craft is unquestionable. It would be tremendously ignorant not to recognise that these few women also played a significant role in this process.